The blue sea color and the spiagge gilded of Saint Vincenzo attract every coming from year million of tourists from all Europe. 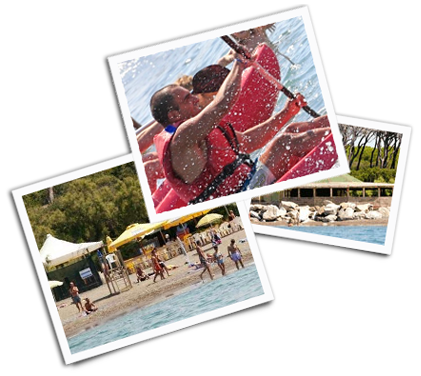 Saint Vincenzo joins, to the natural beauties, the comforts of a pleasant locality and accommodates them, than it they render goal of international tourism, where living, all the year, relaxant and serene vacations. Lived in ancient age , then Etruscan and roman takeover, today Saint Vincenzo is one city modern and efficient, rich of receptive structures and sportswoman and a equipped tourist port. It has international reputation for its restaurants, that they propose one kitchen based on the products of the territory and for excellent wines of the zone. The park of Rimigliano , a rich and protect natural atmosphere, the vicinity to the medieval villages, the vestigia Etruscan of Baratti and Campiglia and to the terme of Venturina, renders Saint ideal Vincenzo unbaricentro for interesting visits and excursions in the Coast of the Etruschi.